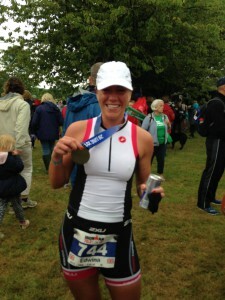 Blog Great Britain Triathlon Squad - Ed is IN! Some of you will remember Edwina from the occasional training videos on my Youtube channel and if you’ve ever seen her train you’ll know she brings incredible intensity to the table…well it has paid off this year. She has announced that she qualified to represent Great Britain at the European Championships this year. It is a pleasure to be part of Edwina’s training and I am happy as can be for her. NO DREAM IS TOO BIG……. Sorry for the not so nice image. And excuse the undies too! Throughout my illness I avoided cameras at all costs. My mother made me have this picture taken so that I could hopefully, one day, look back on it and know that I never want to go to that place again. Well that time is most certainly now. I had been in hospital for a very long time at that point and was not at my lowest weight, but its not the low weight that strikes me about this picture. Its the pure fear, disgust and misery that it captures in my face. My mother says I looked continuously haunted. Which indeed I was! That’s what mental illness does, it haunts and consumes your mind. Whenever i achieve a personal goal, the feeling of pride is always huge. When i think of what Ive had to battle with in my head at the same time in order to get there, it makes it all that bit more rewarding. One of the biggest things I have had to learn is that dreaming to get somewhere is great, and no dream is too big. What can be too big is the small steps that it takes to get you there. Personal goals are key. But I try not to make them too big, so therefore unachieveable. For everytime I then reach a small goal, it boosts my confidence and thrusts me forwards into the next. Most importantly, something I used to be really bad at…….. comparing myself to others. Everyone is different and everyone begins their journey at a different stage. I understand that now. I also understand that there will be good days and bad days. I try and embrace them both. Learn from the bad and progress with the good.